Archer Labs seeks to empower student technologists, academics and researchers who wish to experiment with applying emerging technologies to issues of public benefit such as human rights, corporate accountability, and political transparency. In order to benefit the community, all of the following projects (and more!) have been freely open-sourced on our GitHub. Feel free to download, use, and contribute to any of them! The philosophy behind our work at Archer Labs is to deliver high quality proof-of-concepts while maintaining our experimental integrity. We put our projects through 4 stages of development to evaluate its impact at each stage: (1) research, (2) minimum-viable product, (3) beta, (4) launched product. Given the explosion of digital information related to human rights abuses and international crimes, investigators, journalists, and advocates need secure tools to help them legitimize their sources and content. The metadata embedded within photos has become incredibly useful for activists working towards verification of photographic evidence. 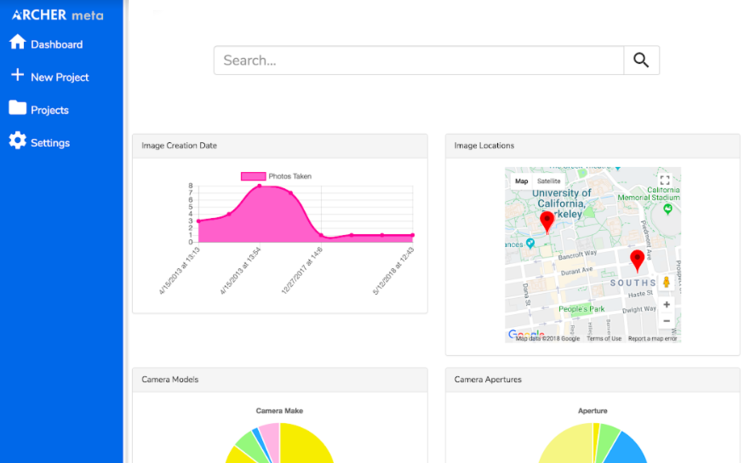 To allow users to safely analyze photo metadata offline, we've created Archer Meta, an open-source desktop app found here. SanctionsExplorer is a ground-up rework of the US Department of the Treasury’s specially designated nationals (SDN) database. This database serves as the global list of the worst violators of international law, containing information on war criminals to terrorists to money-launderers. 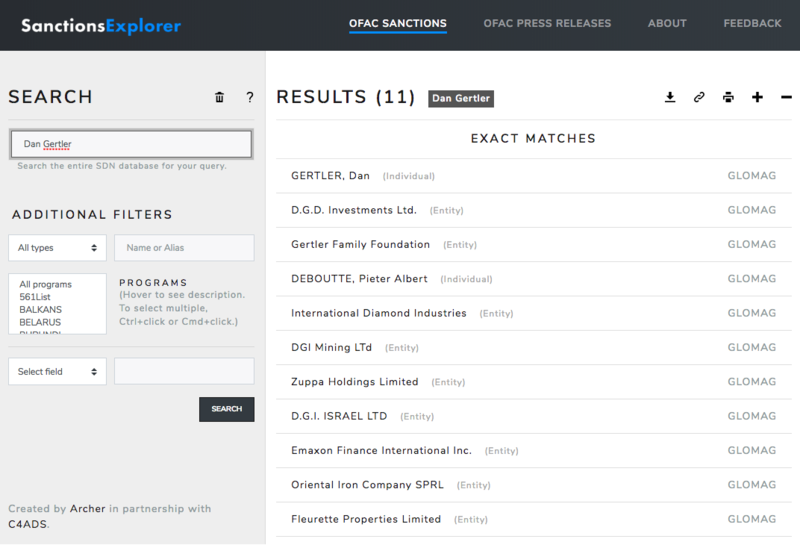 Featuring powerful fuzzy search, Sanctions Explorer provides a seamless interface for searching and analysis. Built in partnership with C4ADS, the product is live here. Dashbit is a bitcoin analysis dashboard reimagined to target users with little technical expertise. Modeled after a traditional bank statement to maximize user familiarity, Dashbit allows users to track addresses, receive notifications, generate algorithm-based insight, and collaborate. Check out Dashbit here. ArcherLabs developed a proof of concept solution that allows human rights investigators to interact with a new internet protocol that generates permanent and decentralized web pages. 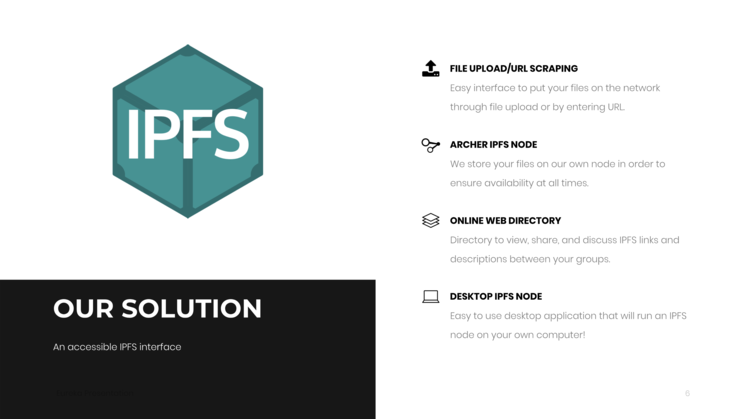 Dubbed the Archer IPFS Directory, the platform allows users to permanently upload their files, documents, and webpages to a unique location on the web that is censorship resistant.